While this is the third book in the series, I don't think you'd necessarily have to read the previous books to understand what's going on in this one. It might help with the secondary characters, as we see those who appeared in the previous books, but it's not imperative. I loved this story. It was so heartwarming. Willa is a self-sufficient woman who has had to make a go of it since becoming a widow at a very young age. Not only did she become a widow, but she was a young mother. While she has had friends and family to help her, she misses having a partner to lean on. Her anger and hurt was a part of her life for a long time. She didn't know if she would ever forgive her once very good friend, Max, for the role he played in creating her situation. Max is back in his sleepy town after going out into the world and conquering it. He has more money than he ever imagined, but still, he knows that something is missing. 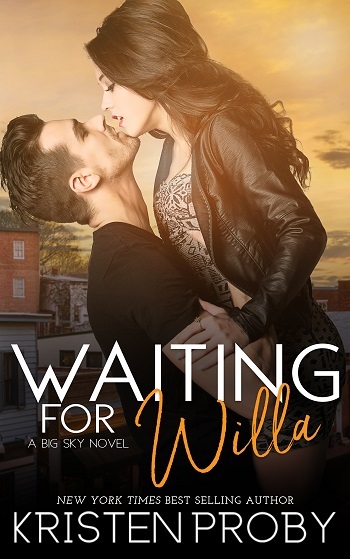 While he knows that he can never make up for his past, Max desperately wants to get a second chance to at least be friends with Willa. She was once a very large part of his life. Watching Willa and Max find their way through their grief and into a relationship again is a slow burn, fantastic ride. I loved how they were able to work through things, find their friendship again, and allow their lives to follow an uncharted course. I can't wait for more! This is the third in the series – and I highly recommend that you read them in order for the full experience of the goodness that is to be found in Cunningham Falls. We catch up with all our friends from previous books and get to enjoy a significant defrosting in the situation between Max and Willa. This story starts with the tragedy which left pregnant Willa a widow eight years ago. In the sadness of the moment, she blamed Max for Cary's death and said she never wanted to speak to him again. They had a history which it would be difficult to imagine overcoming, but Max is back in town, and he still loves his childhood sweetheart, Willa. The real beauty of this story is that it is obvious that they both feel the pull, yet it is deeply demanding on Willa, requiring her to change the life she has carved for her and Alex. She must come to terms with the past, acknowledge Max was not to blame, and give herself an opportunity to love again. I loved how they both involved her son in their future, and yet also carved out time to build their relationship as a couple too. So many lovely scenes come to mind as I write this review – as with many of Kristen Proby's stories, it is so easy to visualise the people, and really wish you could meet them for a drink and catch up... Hopefully the next installment will give me that chance. It was great to have a chance to catch up with previous couples and get to see not one wedding but two! For reviews & more info, check out our stop on the Charming Hannah Blog Tour. 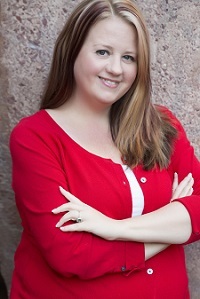 For reviews & more info, check out our stop on the Kissing Jenn Blog Tour. 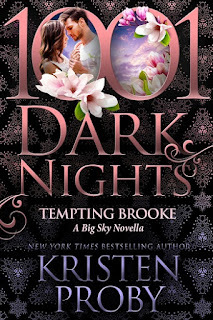 For reviews & more info, check out our stop on the Tempting Brooke Blog Tour. 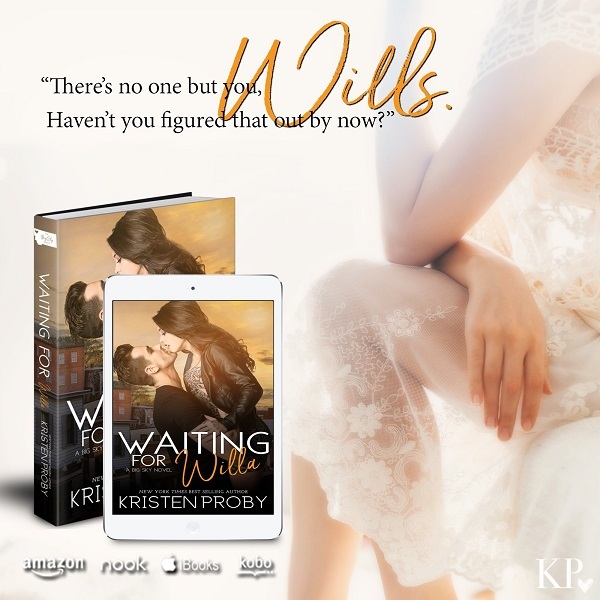 Reviewers on the Wicked Reads Review Team were provided a free copy of Waiting for Willa (Big Sky #3) by Kristen Proby to read and review for this tour.